PRO BOWL | ORLANDO (FNN SPORTS) - For the first time, a new Pro Bowl voting window will run for four weeks, beginning today and concluding on Thursday, December 14. Mike Evans photo: Mellissa Thomas/Florida National News. ORLANDO, Fla. (FNN SPORTS) – Source: NFL // Fans may now vote to send their favorite players to the 2018 Pro Bowl on Sunday, January 28, 2018 at Camping World Stadium in Orlando, Florida. For the first time, a new voting window will run for four weeks, beginning today and concluding on Thursday, December 14. Voting is available online and on web-enabled mobile phones by going to NFL.com/ProBowlVote. The NFL and Twitter are also introducing a new way for fans to vote for the 2018 Pro Bowl roster through a Direct Message (DM) Voting Experience, which has never been done for an All-Star game before. Fans may participate via entry cards tweeted from all 32 team accounts or by directly visiting the @NFL profile page at Twitter.com/NFL. The entry cards will initiate a private “Direct Message” and enable fans to select a position group or search for a player or team to begin the voting process. During the final week of 2018 Pro Bowl voting – December 7-14 – fans will be able to vote directly on Twitter. To cast such a vote, fans should tweet the first and last name of the player, or the player’s official Twitter handle, along with the hashtag: #ProBowlVote. This method is in addition to the online ballot at NFL.com/ProBowlVote, which will be available throughout the voting period. The 2018 Pro Bowl, which kicks off at a new start time of 3:00 PM ET, will be televised live on ESPN and ESPN Deportes and simulcast on ABC. Players for the game are determined by the consensus votes of fans, players and coaches. Each group’s vote counts one-third toward determining the 88 All-Star players who will be selected to the Pro Bowl. NFL players and coaches will cast their votes on Friday, December 15. Tickets to the game are on sale at NFL.com/ProBowlOnSale. Last year’s sold-out event – the Pro Bowl’s first time in Orlando – featured a capacity crowd of more than 60,000. Fans may visit ProBowl.com for additional information on Pro Bowl Week, which features a variety of free, family-friendly events in Orlando. The Pro Bowl is an all-inclusive event for fans on gameday. Working with KultureCity, Camping World Stadium’s sensory-inclusive partner, the NFL will offer families who attend the 2018 Pro Bowl with support, including sensory accessibility resources and two dedicated sensory rooms located in the stadium on gameday to enable them to enjoy the game with more confidence and comfort. Pro Bowl Experience: A free football festival located at the ESPN Wide World of Sports Complex at Walt Disney World Resort, where fans can participate in interactive activities such as the 40-yard dash, take photos with the Pro Bowl Trophy, and have an exclusive chance to win prizes, including tickets to the game, autographed footballs, and more. 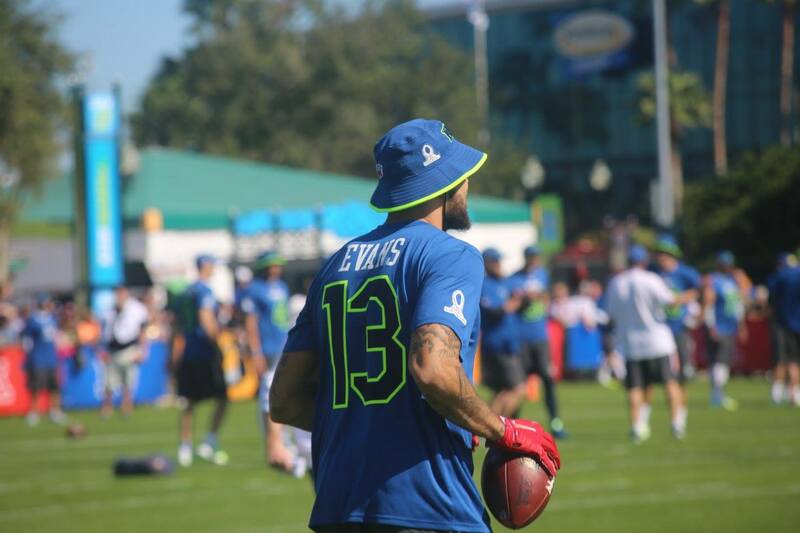 Pro Bowl Practices: AFC and NFC team practices – which are free and open to the public – will also be held at the ESPN Wide World of Sports Complex, allowing fans to watch their favorite players as they get ready for the game. Pro Bowl Skills Showdown: Returning for its second year, this unique competition will test the athletic prowess of the NFL’s best players in unique competitions.